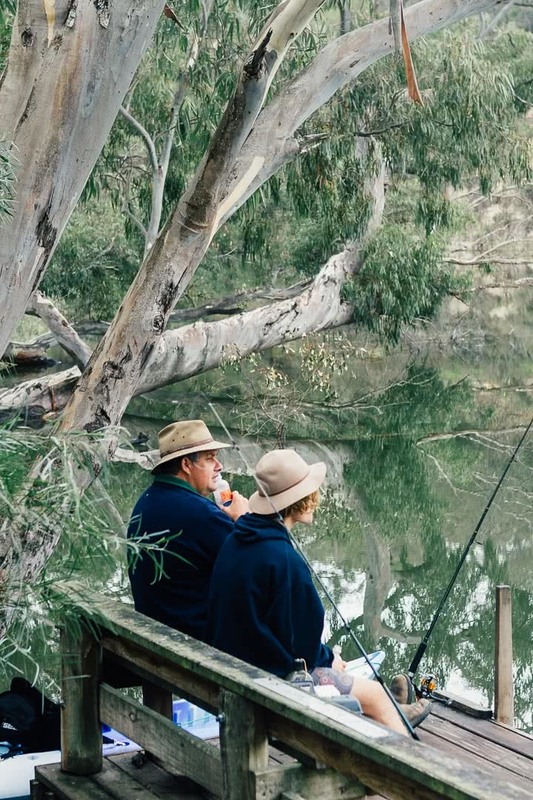 About 400km west of Melbourne and 500km east of Adelaide, almost bang in the middle, and right by the South Australian and Victorian border is the Lower Glenelg River National Park. 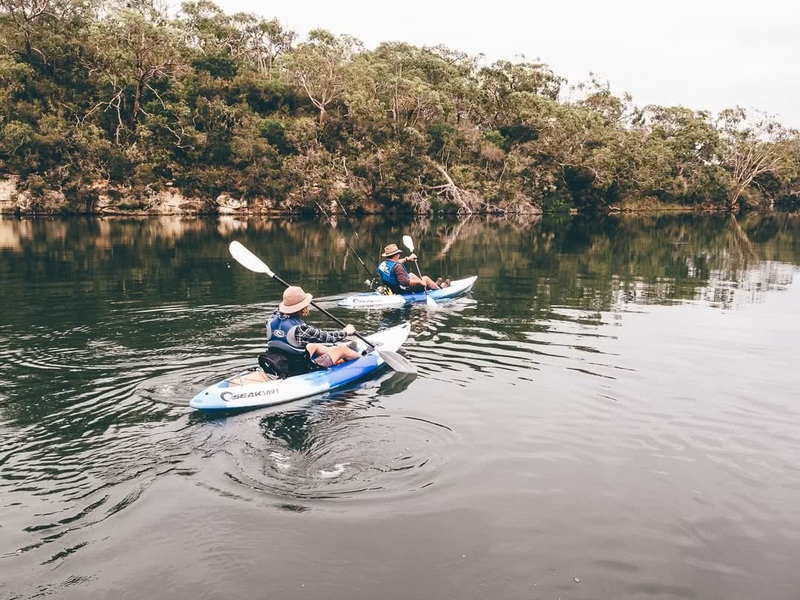 As the name depicts, the Lower Glenelg River runs through the park and is dotted with landings and campsites which meet the river’s edge. This makes it perfect for a kayaking, or canoeing adventure. 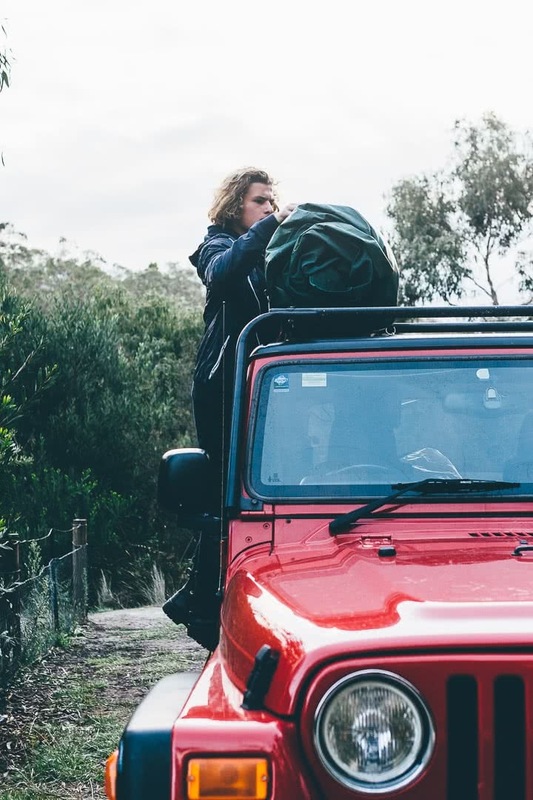 After familiarising yourself with a map of the river and locating the campsites and dirt roads, you can choose where to start, camp, and finish your adventure. The higher up the river you start the more peaceful it is and you’re likely to see few, if any, boats. 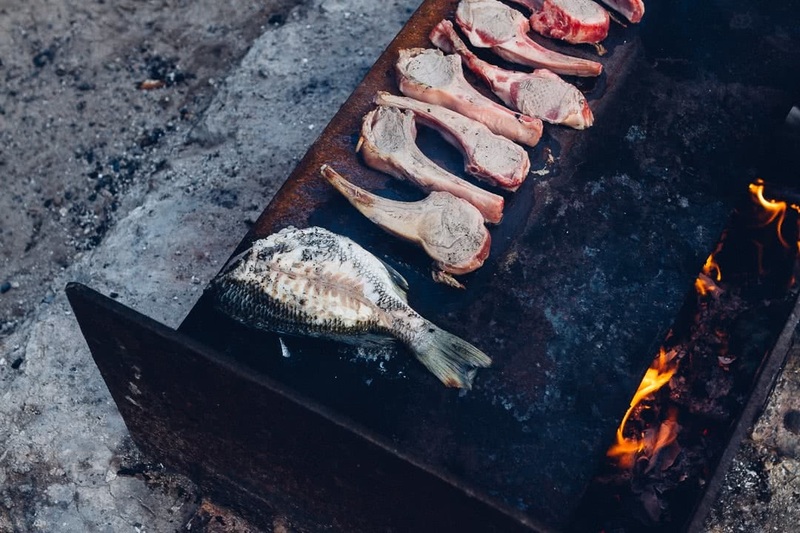 It will begin with driving through the pine forests on white metal and dirt roads to reach the river’s edge and upon getting out of the car, it really feels like you’re out bush, in the middle of nowhere. 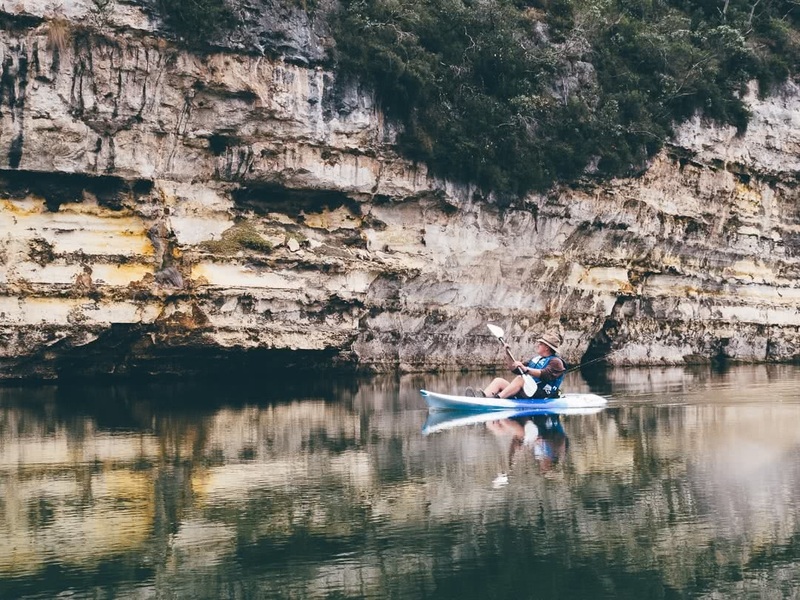 Once the kayaks are loaded up, you can hit the water, paddling around the bends of the wide river and taking in the peaceful views as you float along at the bottom of the limestone cliffs. 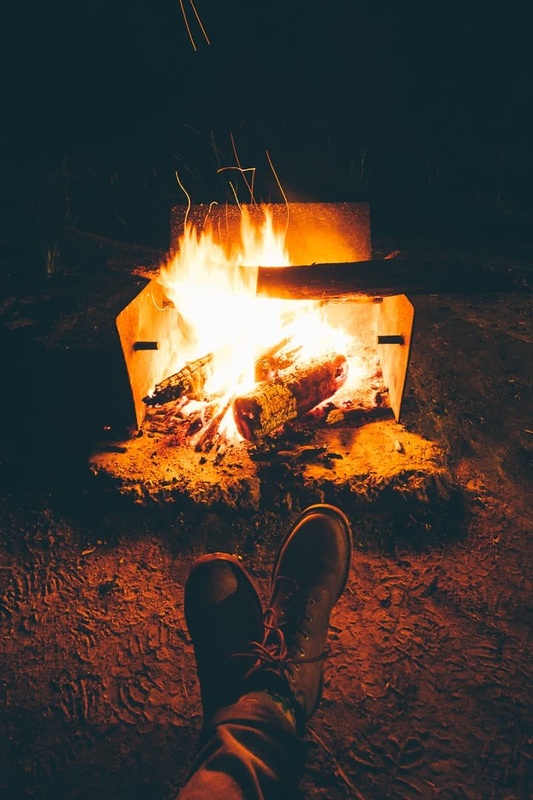 There are landings to pull up approximately every two kilometres and when reaching the night’s camp you’ll find fireplaces with a drop down hot-plate, a small jetty and depending where you have chosen, drop-dunnies. I drove from Adelaide to meet my Dad and Brother, beginning the weekend at the Red Gum Landing Campground. We then rose the next morning, loaded what we needed into the kayaks and headed 11 kilometres down the river to the McLennans Punt. By taking 2 cars, we were able to leave one where we would finish, which meant after spending the night fireside, we were into the kayaks to finish the journey another 11km up the river in the small town, Donovans.